When U.S. president Barack Obama’s proposed health-care overhaul was making headlines in the news last year, the United States Conference of Catholic Bishops was one of the first to challenge it, arguing that there should be no provision for abortion in a universal health-care program. 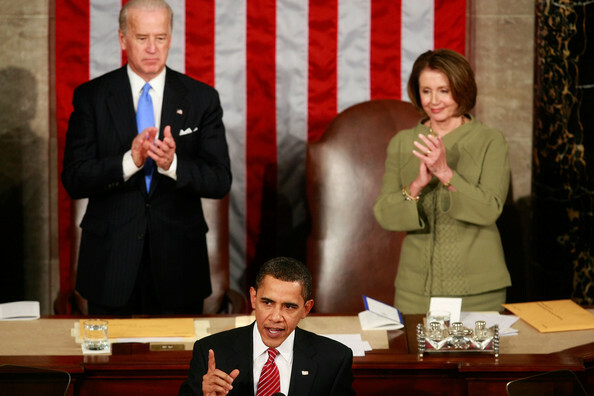 They ultimately succeeded in persuading Obama and House Speaker Nancy Pelosi to this end. Now the Conference is challenging provisions for free contraceptives as well. This recent turn of events further illustrates the tenacity with which religious groups seek to manipulate the most powerful and influential government in the world—with faulty premises. The Conference hopes to sway the decision-making process in an upcoming meeting between the federal government and a panel of medical experts by challenging the parameters of the proposed health-care provisions. Much of the contention the bishops have against providing free contraceptives is motivated by the definition of “preventive medicine”. Abortion and contraception, they argue, are not forms of preventive medicine, because preventive medicine deals with the prevention of disease, and pregnancy is not considered a disease. This syllogistic proof, they contend, therefore demonstrates that abortion and contraception should not be covered by preventive medicine under Obama’s new health-care program. The Catholic bishops are correct—“preventive medicine”, or prophylaxis, does refer to the branch of medicine the goal of which is to prevent disease or illness. The goal of contraception and elective (as opposed to therapeutic) abortion is not to prevent disease or illness, but to prevent or terminate unwanted pregnancies which may in no way negatively affect the mother’s physical health. It would seem, then, that the bishops have a point in arguing that abortion and contraception should not be provided under a preventive health-care program. But the focus on the definition of “preventive medicine” constitutes a type of informal fallacy called ignoratio elenchi, or “missing the point”. The real question is not whether abortion and contraception are forms of preventive medicine that should thus be covered in a preventive health-care program; the real question is whether the health-care program should be limited to just preventive medicine in the first place. If abortion and contraception cannot be covered under the current, preventive health-care program, then the current program should simply be expanded to accommodate non-preventive medicine such as abortion and contraception. For a woman’s overall health and well-being are not defined strictly in terms of physical illness or disease (such as cancer), but also in the psychological terms of happiness, contentment, and control over family planning and her own reproductive abilities. Besides, the conduct of the United States Conference of Catholic Bishops, and the subsequent capitulation of powerful government figures such as Obama and Pelosi, might be considered illegal, since it constitutes a form of religious insinuation into government affairs. Believing with you that religion is a matter which lies solely between Man & his God, that he owes account to none other for his faith or his worship, that the legitimate powers of government reach actions only, & not opinions, I contemplate with sovereign reverence that act of the whole American people which declared that their legislature should “make no law respecting an establishment of religion, or prohibiting the free exercise thereof,” thus building a wall of separation between Church & State [emphasis my own]. Dissenters will then point out, “but Jefferson was serving as the ambassador to France at the time the Bill of Rights was being drafted”. But that makes no difference. Jefferson was involved in the development of the Bill of Rights, despite his continental provenance. He wrote a letter in March, 1789, to James Madison, author of the Bill of Rights and “father of the Constitution”, expressing his support of a Bill of Rights . Madison was initially apprehensive about the dangers and limitations of a Bill of Rights; Jefferson countered that the instrument may be an imperfect one, but it is better than any alternative, and that some rights are better than none: “Half a loaf is better than no bread. If we cannot secure all our rights, let us secure what we can.” Only three months later, Madison finally changed his position and offered a package of twelve proposed amendments to the Constitution. So, yes, Jefferson (despite his misogyny—he hated intellectual women ) did influence the creation of the Bill of Rights, and thus his belief in the separation of church and state did provide the philosophical backdrop to and inspiration for the drafting of the First Amendment. Moreover, this notion that the First Amendment bars Congress—but not individual states—from legislating religion, implies that any state with a majority could just as easily vote to make paganism, Islam, or even atheism the official religion of that state. And yet we know that evangelical, right-wing Christians—the ones who themselves believe the First Amendment implicitly allows states to legislate religion—would be the first to inveigh against such a law and to invoke the First Amendment to reverse the decision. This, of course, is an unfair double-standard. So, for their own interests, even conservatives have to agree that the establishment clause can, theoretically, be extended to individual states. And if the federal government favored this group in extending the First Amendment’s scope, it would constitute a preference for one religion over another, which could easily be construed as an establishment of religion in the legislative process, certainly in contravention of the First Amendment. Besides, the question of states legislating religion is a moot point. The bishops aren’t cozying up to any state legislature—they have been working their charms on the federal legislature itself (i.e. Congress and House Speaker Pelosi), and we already know that, if anything, it is illegal for Congress to pass any law with a particular religious bent. With respect to the issue at hand, then, the contention of the United States Conference of Catholic Bishops over the provision of abortion services and free contraception in Obama’s universal health-care bill is baseless. First, it misses the point by fixating on the definition of “preventive medicine”. If free contraception isn’t preventive medicine, so what? We’ll just expand the health-care bill to include free contraception. It’s good for the sanity of couples who wish not to have children. Second, the bishops’ influence on the passage of the health-care bill violates the First Amendment, since it reflects religious influence in the federal legislative decision-making process. This should be a clarion call in any democracy for intervention, even if it requires a resort to the oft-maligned tactic of filibustering. Share your thoughts. Should Catholic bishops be telling the U.S. government that free contraception shouldn’t be covered under Obama’s health-care bill?